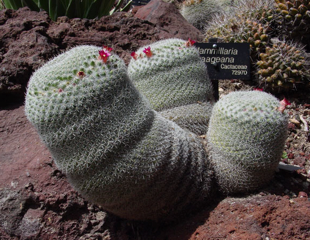 Mammillaria is one of the larger genera in the Cactus family, and one of the most variable, with some members remaining as solitary columns for their entire lives, some remaining as fingernail size solitary globulars, some straight spined, and some clumped and heavily spined with hooks. 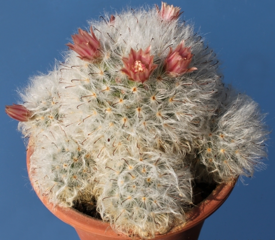 This month we will show off our collections of Mammillaria clusters. 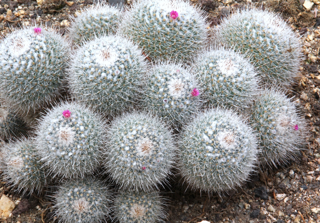 A Mammillaria is often one of the first cacti that a beginning grower buys. They are still available, often for less than a dollar in discount stores, and for just a bit more at local home centers and discount stores. 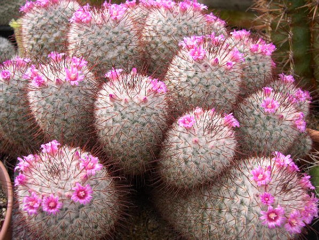 A credit to the toughness of these plants, is that many survive for years in spite of all sorts of abuse and neglect. Many inexpensive purchases at local chain stores have been grown on to be become show plants, the quality of the plant maturing with the skill and experience of the grower. 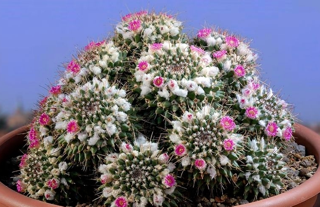 In part because they are so generous with flowers and seeds, and the seeds germinate so readily, many rare species end up in unlikely places like home centers, supermarkets, and hardware stores. 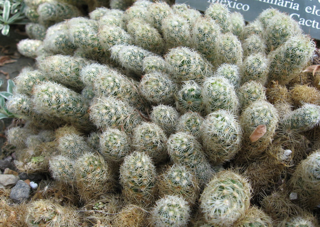 It’s worth keeping an eye out for unusual specimens, but beware of names found on discount store plants. The secrets to good growth are a continual supply of water and fertilizer during the growing season, strong light, and maintenance of a clean and insect free growing environment. Many people starve and under water their plants, in attempt to avoid rot. 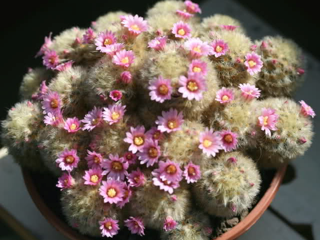 Most Mammillaria will take quite a bit of water and fertilizer when in growth. The main growth period is the late spring (Middle of April, through July.) When summer heat really appears growth slows for a time, picking up again when the weather cools, before stopping around Thanksgiving. 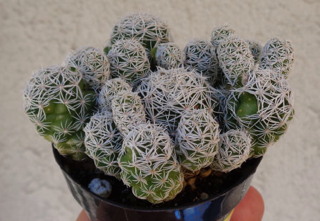 Almost all Mammillaria will do just fine in Southern California, with little or no winter protection, as long as they are potted in a freely draining potting mix. 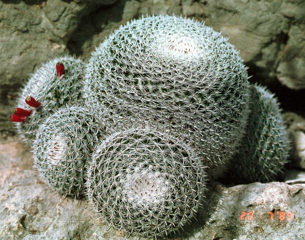 The appearance of white mealy bug egg cases (Mammillaria’s worst enemy) on the tips of the spines or the appearance of ants means that mealy bugs are sucking the sap and life of the plant. Immediate treatment is required, with a thorough washing, and spraying with an insecticide. 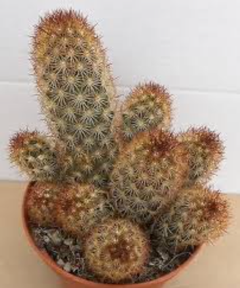 A less toxic solution is to soak the entire plant in soapy water overnight. Followed by a good rinse with water from a hose. LATIN LOOKUP – Loquerisne Latine (Do you speak Latin)? Named for the Sierra de Bocas Mountain range in Mexico. 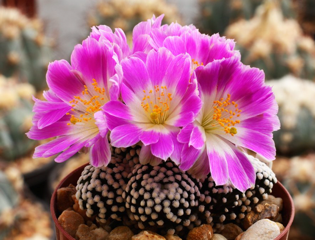 For Professor Carmen Gonzlez Castaeda, wife of 20th century cactus enthusiast M. Castaeda. Having twin or many spines. Named for J.N. Haage, 19th century German plant collector and seedsman.